How Far is HSR Tulips? 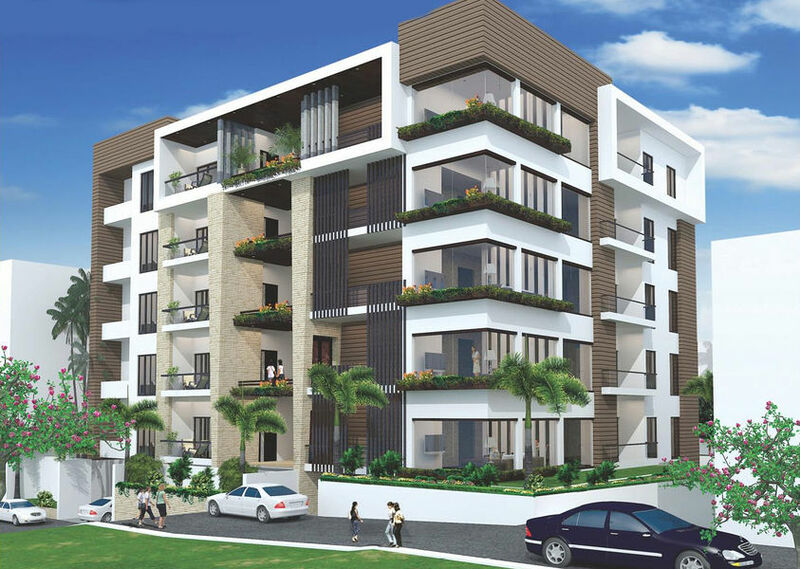 Sophistication, lavishness and style with unmatched peace of mind for lifetime. Designed for seamless luxury living indoors and our, in the most celebrated hilly stretch of Hyderabad - Banjara Hills, each stately apartment of HSR Tulips surrounds owners with unmatched peace of mind for lifetime. Designed to make most of the elevated location, the dazzling facade maximizes the city view while inviting fresh air and natural light into the homes. Evan as the contemporary amenities enhance the enriched living experience,the verdant greenery, that dots the elegant enclave, adds a harmonious touch. In essence, offering a new sense of sophistication, lavishness and style, for a few who deserve it. Reinforced Cement concrete structure to withstand wind and seismic loads. Plastering in two coats in C.M. UPVC Window systems of standard make with Double Glazed with Plain Glass with Fly mesh sliding shutters with Aluminum Frame and reputed locking system along with M.S. grills. Internal: Smooth finish with Cement based Luppam or equivalent in total area and painted with Royal Emulsion paint. Bedrooms: Italian Marble/Wooden flooring in Master bedroom and Italian Marble flooring/ latest vitrified tiles in other bedrooms. Corridors: Granite/Indian Marble/Vitrified tiles in corridor areas. Glazed ceramic tile dado up to 3’o” height in Utilities / wash area. Provision for counter tap washbasin with tap connection in dining hall. All plumbing lines consist of CPVC or PPR and all toilets with water proofing. Wall hung EWC of Toto or equivalent make in all toilets. Designer Wash basins in all attached toilets. Hot and cold Grohe wall mixer or equivalent with shower in all toilets. All CP fittings are chrome plated of Grohe make or equivalent. Provision for geysers & exhaust fans in all toilets. Concealed copper wiring with finolex/havells/wipro/ squiderbetechno or equivalent make in conducts of lights, fan, and power plug points, wherever necessary. A concealed AC copper wiring and drain pipe for fixing of Indoor and AC units in all bedrooms. Power plug for cooking range chimney, refrigerator, micro oven, mixer, grinders in kitchen. Plug points for TV. & Audio systems etc., wherever necessary. All electrical fittings of Northwest/ANCHOR or equivalent make. 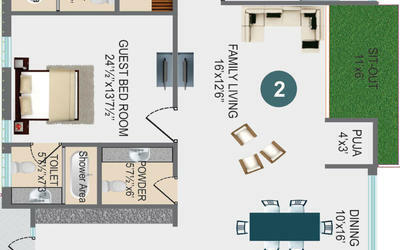 Telephone point in drawing area, Living area and in all Bed rooms. Provision for internet connection in living room/bedroom.